I’ve been getting some request for a tutorial on how to draw lips. It seems a lot of people really struggle with adding texture to their lips to make it look realistic. 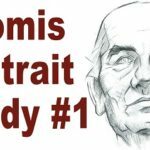 So I searched inside my Realistic Portrait Drawing course and put together this sample lesson for you. We’ll start out with the outline of the lip already drawn and this video will just go over how to shade and add in the all details. Thank you so much for your tutorials. They are so easy to understand and that is what we need when we are learning. Nice tutorial Ethan but I agree with Gay Storm. You make the effort to draw the vertical lines for delineation and detail but then proceed to undo a lot of the added effort by blending your work. Sort of three steps forward and two steps back. Granted it’s a layering process that takes time and everyone has their own technique. It is a helpful video. Thank you Ethan. Your instructions are very clear and detailed on this large mouth used for demonstration purposes. 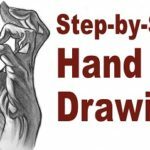 But I’m wondering how difficult it is to transfer such techniques onto a regular size drawing. 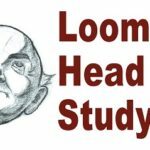 Should one attempt to include such detail on a regular-sized drawing? I’m thinking about drawing the teeth for example on say a drawing of about 8X6. Thanks. Great question, Alastair! You are correct. 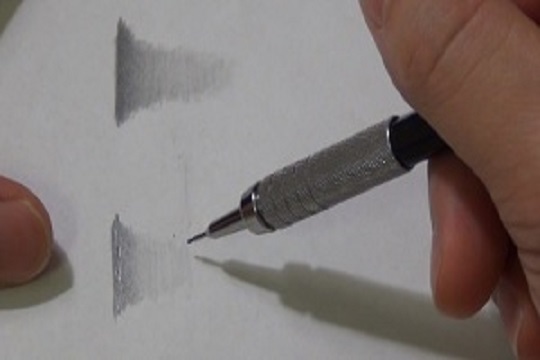 There is a different way to draw a large drawing vs a smaller drawing. With a large drawing like this one, you can afford to capture a lot of the smaller details (in fact, you must, other wise the drawing would look a bit empty and not as realistic). But with a smaller drawing, first of all, the smaller details will be much harder to see and even if you could see it, trying to cram all those details into that tiny space would end up making your drawing look bad. So when you are drawing from a smaller reference, you need to be subtle in suggesting the details. Use a few pencil strokes to suggest the details. Basically do more with less. It really is an art and it’s difficult to explain in print. I will try to do a tutorial on it in the future. I like the way you teach drawing on your website. I’m practicing your technigues with my drawings every other day. Soon, I’ll have enough knowledge to create enough material to draw on my own. You’ve been a great help. Thank you, I always had problems with making realistic lips……this has helped me understand the process. Have you ever used a variety of pencils ranging from B to H? I see that you’re using an HB pencil. Yes, I do use different softness pencil from time to time depending on the type of drawing. It ranges from 9b all the way to 9h. Thank you. The lips are done with clear step by step instrutions. You are a top notch instrutor. Please keep the quality videos coming. I am learning with every lesson. Thank you so much for the kind words, Jim. You explain everything in such a simple step by step way that it seem so do able. I’m working on my drawing on and so far it’s better than everything I’ve drawn before. I’m really excited to see how it’s going to turn out. I’m so glad I signed up for your newsletter. Thanks! Thank you for the help and great ideas. You’re welcome, Keith. Thanks for the comment! Your work is wonderful. Thank you.